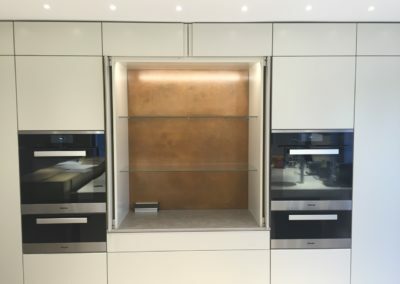 This project was very defined from the outset as the client’s choice of crisp, elegant, minimalist kitchen units was to be off-set by a series of beautifully organic, hand crafted accents. 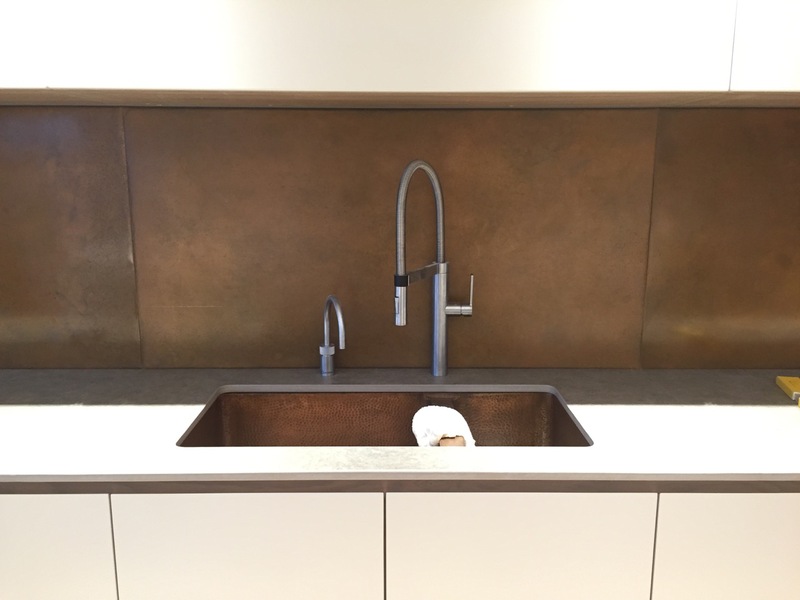 One such accentuating element was a number of copper-clad wall panels, which received particularly characterful patinated finishes. 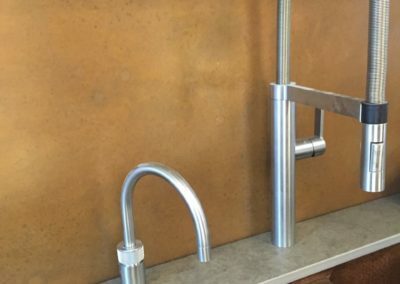 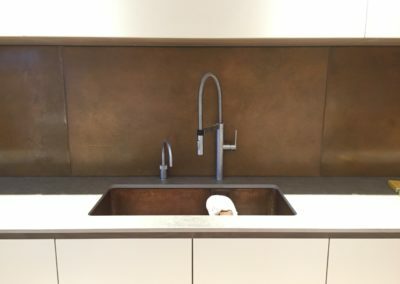 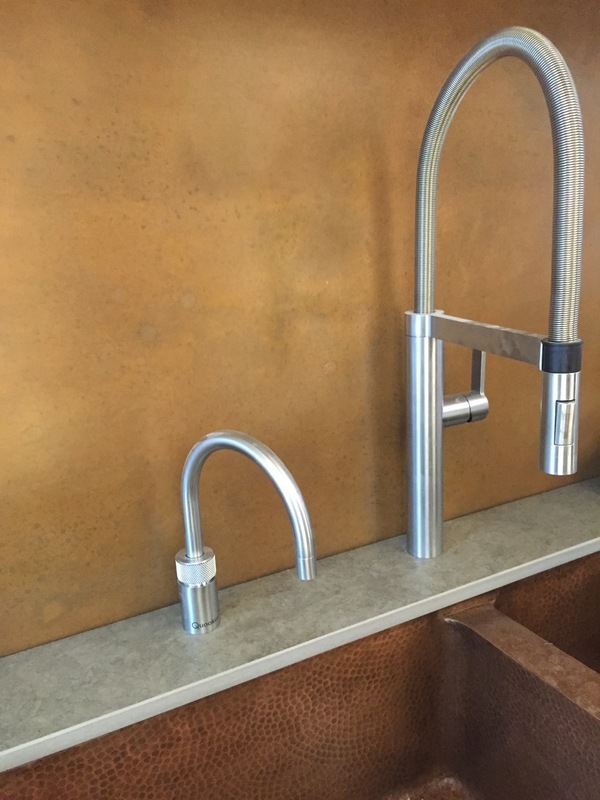 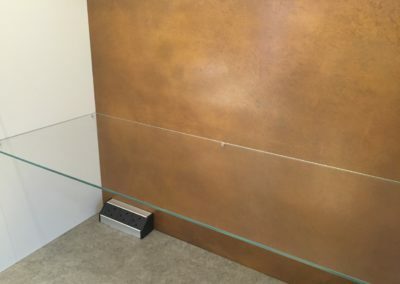 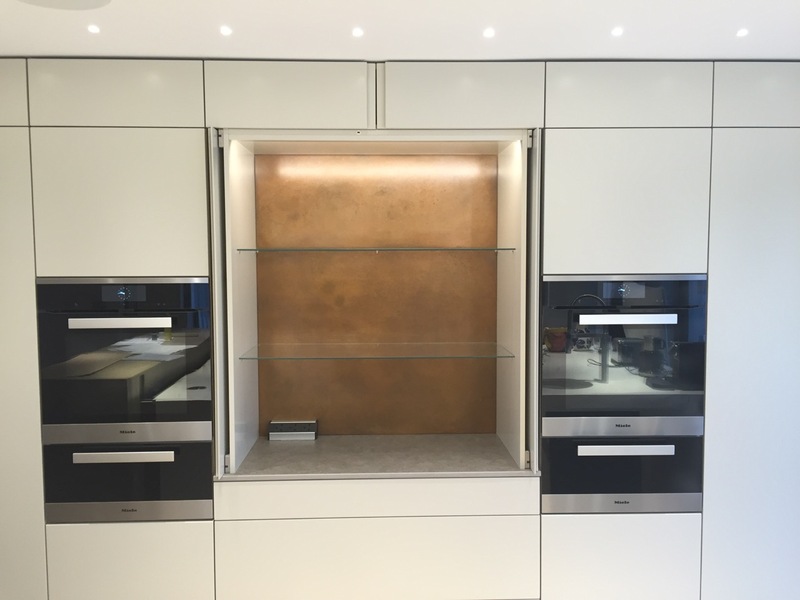 The metal wall panels served as both decoration and a protective wall covering – ‘aka’ splash backs behind the sink area and within two of the cupboards which served as alcoves for display. 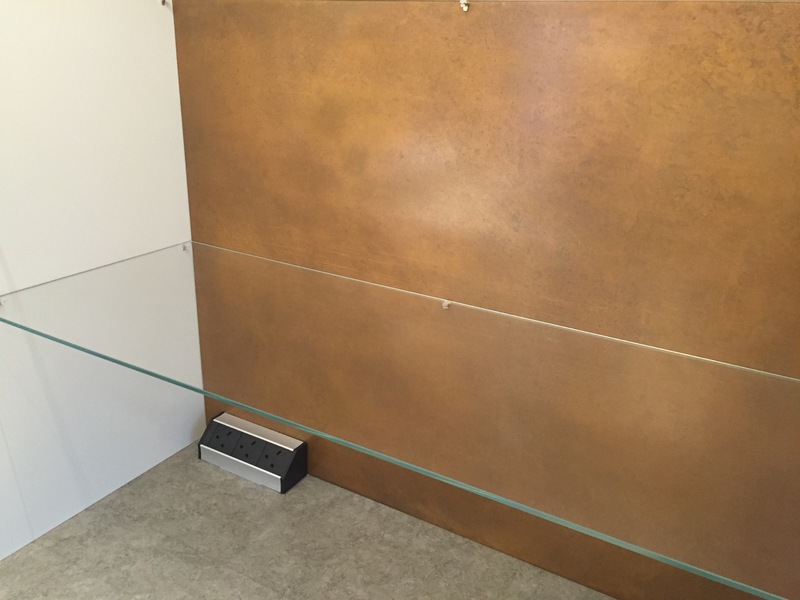 The result was quite resplendent!